Much like every other major civilised country in the world, gambling is perfectly legal in Australia, however there are some very strict rules in regards to who can gamble and where they can gamble. In fact Australia does have one of the most stringent set of laws and regulations surrounding gambling, and as such this section of our website is dedicated to enlightening you on what those laws and regulation are. Should you be planning a trip to Australia and you are planning on gambling in any way, shape or form on your vacation then please do read through the following section, as you will get a good understanding of each of the different gambling laws and regulations in place. There are of course Government bodies and licensing authorities who oversee the day to day running of any gambling venue or establishment and that ensures everyone who does visit any type of gambling venue is protected by a robust set of rules and regulations. A recent study has found that over 80% of the adult population in Australia regularly gamble and that does of course mean the Australian Government does raise a large amount of revenue from gambling duty and gambling taxes imposed on gaming revenues! Turnover Tax – There are many different ways that each type of gambling is taxed or charged some form of duty in Australia. One of these ways is by a Turnover Tax. The following types of gambling activities are charges a tax based on the volume of cash turned over on those gambling activities. Bookmakers, the Tote, Lottery Ticket Sales and Subscriptions, Draw Card Machines and Keno are all subject to the turnover tax and that does not in essence affect a player’s chance of winning and will not see a gambler having to pay out any taxes on their winnings on any of those activities. Tax on Player Loss – Another way that the Australia authorities earn revenue form gambling activities is by something known as a tax on player loss. Any company or business that is involved in Sports betting, Poker machines in hotels, clubs, Casinos to TAB sports betting will be required to pay a tax based on how much they have taken from players as losing wagers. Obviously those companies and business that make a huge profit from their gambling games and gambling activities will end up pay more tax base don the current level and percentage charged by the tax authorities. License Fees – Every company or business that is involved in the gambling industry does have to pay an additional license fee to allow them to operate their gambling business. Any company or business offering gambling services that is not fully licensed is breaking the law and faces huge penalties. The types of gambling activities and venues and business that need to apply for and be granted a gambling license in Australia include, Casinos any one operating Poker machines and Lotteries. The Racing industry also needs such a license including Bookmakers and Sports betting and any one operating bingo and raffles. Problem Gambling – It has been estimated that 0.5 to 1 percent of all adult gamblers in Australia experience some form of gambling problem. With that in mind there are several charities and agencies that have been set up to help and support anyone who is affected by any type of gambling problem. Each of the many different territories that make up Australia have their own licensing requirements and general gambling legislation in place, Below we shall take a look at each territory and give you an overview of the many different acts covering the gambling industry and gambling activities. Australian Capital Territory – The acts and legislation that covers gambling in all shapes and form in the Australian Capital Territory include the Betting (ACTTAB Limited) Act 1964, the Casino Control Act 2006, the Gaming Machine Act 2004, the Interactive Gambling Act 1998 Lotteries Act 1964 the Pool Betting Act 1964 and also the Race and Sports Bookmaking Act 2001 and the Racing Act 1999. New South Wales – There are several different acts, laws and legislation covering gambling activities in New South Wales and they include the Betting Tax Act 2001, the Casino Control Act 1992, the Charitable Fundraising Act 1991, the Gambling (Two-Up) Act 1998, the Gaming and Liquor Administration Act 2007. Other legislation for New South Wales includes the Gaming Machines Act 2001, the Gaming Machines Tax Act 2001, the Liquor Act 2007, the Lotteries and Art Unions Act 1901, the Public Lotteries Act 1996, the Racing Administration Act 1998 and the Unlawful Gambling Act 1998. Other legislation includes the Soccer Football Pools Act 2004 and also the Unlawful Betting Act 2004. Queensland – In Queensland you will find lots of different rules and regulation in place to oversee gambling in all shapes and form and they include the Brisbane Casino Agreement Act 1992 the Breakwater Island Casino Agreement Act 1984 the Cairns Casino Agreement Act 1993 the Casino Control Act 1982 and the Charitable and Non-Profit Gaming Act 1999. Other laws and regulation in Queensland include the Gaming Machine Act 1991 the Interactive Gambling (Player Protection) Act 1998 the Jupiter’s Casino Agreement Act 1983 and also the Keno Act 1996 plus the Lotteries Act 1997 and the Wagering Act 1998. South Australia – In South Australia the gambling industry is governed by a set of very stringent laws and regulations including the Authorised Betting Operations Act 2000 the Casino Act 1997 the Gaming Machines Act 1992 and also the Lottery and Gaming Act 1936 and State Lotteries Act 1966. Tasmania – The two main pieces of legislation covering gambling in Tasmania are the Gaming Control Act 1993 and also the TT-Line Gaming Act 1993. Victoria – Let us now look at the laws and regulations in place in Victoria these include the Casino control Act the Casino (Management Agreement) Act 1993 and the Gambling Regulation Act 2003. 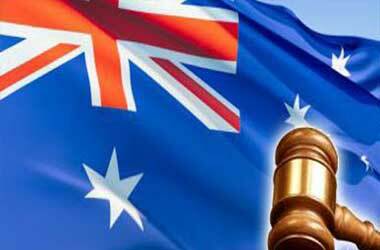 Western Australia – Finally we shall now take a look at all of the laws and regulations used and adhered to in regard sot gambling activities in Western Australia. These include the Betting Control Act 1954 the Bookmakers Betting Levy Act 1954 the Racing Restriction Act 2003 and the Racing Bets Levy Act 2009.